Six years on from his last album, Marcus returns once again with a layered and tense release that surges forward with a sense of the bombastic. Over the course of ten tracks, the listener is taken on a bizarre and disturbing interpretation of a nightmare-made-music. For some (and indeed for me), this feels like a more tuneful interpretation of Nurse With Wound; and ‘Skelektikon’ carries much of NWW’s bizarre obscurities, whilst thundering harmonies home with machine-like precision. This is by no means an easy listen, but does pause for breath every so often as not to overburden the listener; and key moments such as ‘Aunchron’ serve to steady the heart and regain composure. Overall, this latest piece of work signifies an artist at the top of his game; who is able to compile unimaginable horror alongside beautiful interludes of light and expression to great effect. It’s been four years since the last Kreng album ‘Grimoire’; and in a beautifully packaged laser cut bronze cover (for the vinyl), ‘The Summoner’ starts off where his last opus left us. ‘Denial’ is a growing mass of bleak ‘Dark Ambient’ that falls into a sea of intermittent 12 string layers. The end result has an unnerving shock factor, due to the volume of the two together and the infrequency in which it hits you square in the face. ‘Anger’ follows a similar path, but for the most part remains in a cavern of reverb, where the strings haunt the far ends of the chamber and roll towards the listener like a tsunami. It’s no less impressive (possibly more so) than the opener; due to feel of impending doom it collects on its journey. Thematically, this album is based on five stages of mourning after Kreng lost a few close personal friends. These occurrences in life hit us all differently and ‘The Summoner’ wraps up its beauty in a cloak of dismay and clinical aggression (in the form of strings). It is overall, a brutal affair; and the subject of death for the most part, is a horrible experience to endure, especially when we care for the ones that leave us. I am a massive fan of Dark Ambient and its associated genres. Kreng has produced here, an album that matches up and in some cases betters its peers; and is no less a jarring affair, with many a nook and cranny to swallow you up whole. Abrasive drones and static open up this debut album by Welburn, with grinding bass providing a low-end punch to the rhythmical patterns courtesy of Tony Buck (The Necks). 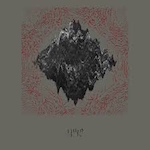 Gradually building like a pressure cooker, wave upon wave of pads ascend as ‘Naught’, in a punishing Dark Ambient mass of glorious oppressive weight and noise that cannot be denied. ‘Peak’ in contrast, starts high-end, accompanying a subtle bass-line providing the draw as the pads steadily fold and tumble down into a sea of ambient guitar. Light percussion assists the progression, as a breezing wash of air dissipates into the ether. The up-tempo punkish blast of ‘Shift’, changes the album’s momentum once more; and whilst being a tad muggy, bends the head in this albums never ending ability to twist and turn on a dime; and makes more sense come the ever-so Swans-like ‘Transience’. For the final two numbers, Welburn concentrates his efforts on staggered rhythms and guitar noise with ‘Duration’ (that is a complete riot from start to finish); only to be tempered by the solid wall of Dark Ambient that is the title track. In total there isn’t a bad song on this album (not one). Cohesive and well constructed, Welburn manages to keep the listener on their toes from start to finish with a generous variation of ability and sound throughout. Without doubt this is one of the better releases to drop through my door in some time, with a culmination of genres that sit perfectly as bedfellows. Hunt this down at all costs.